Ever since a witch mobile mysteriously appeared above her cot at Templeton Orphanage when she was a baby, Bella Donna Jones has been obsessed by witches! For years, she succeeds in putting off all would-be adoptive parents with her behaviour. Then along comes Lillith, who Bella really likes. Bella goes to live with her, trying to be the model girl – wearing pink and being ever so polite. But when Bella comes home early one day, she discovers that Coven Road is really a road of witches! 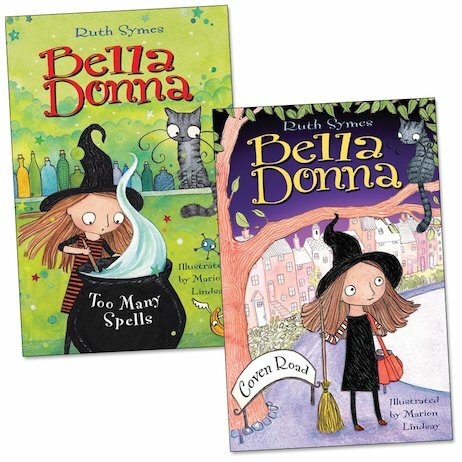 Follow Bella Donna as she learns to balance magic with schoolwork in these funny and spooky novels. Full of magical antics and lively illustrations, their quirky formula will delight young girls.